Mumia Abu-Jamal, a black liberation icon convicted of gunning down Philadelphia police officer Daniel Faulkner in 1981, may get another shot at a trial as a judge ruled Monday to continue a hearing to decide whether Abu-Jamal can appeal his conviction. Abu-Jamal, a journalist and former member of the Black Panther Party, has maintained his innocence since he was arrested after the killing of Faulkner and has been labelled by many as the most prominent political prisoner in the United States. Noelle Hanrahan, who co-wrote and produced the documentary "Mumia: Long Distance Revolutionary," told By Any Means Necessary on Radio Sputnik that it is corruption keeping Mumia in jail. "If you undo the corruption in Mumia's case, if you look for Mumia's innocence, it involves an enormous amount of people who are going to fall," Hanrahan said. 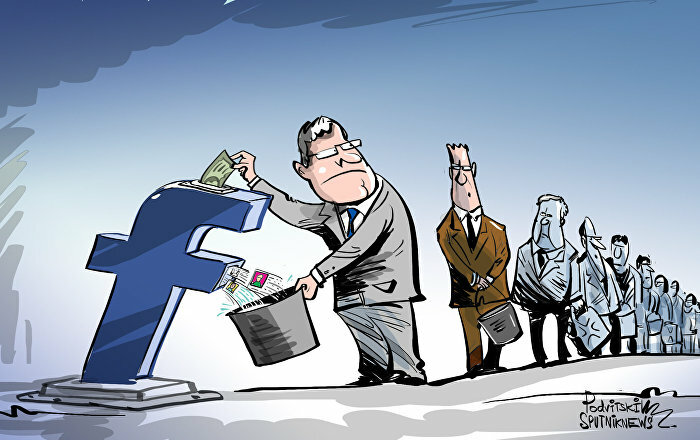 "It's gonna unveil the corruption that exists through the whole system." Judith Ritter, Abu-Jamal's attorney, is trying to get him a new trial. She asked the judge Monday to vacate previous, failed appeals so her defendant he can make a new one. Much of the new hope among Abu-Jamal's supporters comes from the 2016 Pennsylvania Supreme Court admonishment of Ronald Castille, who dealt with the case of Abu-Jamal and five others, both as a district attorney and later as a Pennsylvania Supreme Court judge, violating court procedures. In 2016, the Pennsylvania Supreme Court ruled that Castille violated the rights of a man when when he reinstated an execution order against him as a Supreme Court justice after the order had been vacated and after he'd already argued for his execution while prosecuting the case as district attorney. Castille should instead have recused himself from the case. It is considered unorthodox for a judge to rule on a case they have previously prosecuted. Since then, the cases of Abu-Jamal and five others that dealt with Castille as both DA and Supreme Court judge have been allowed appealment hearings. As district attorney, Castille argued for the death penalty in 45 cases, according to Injustice Today. "We have an enormous amount of corruption, prosecutorial misconduct, and police misconduct [in Philadelphia]," Hanrahan told By Any Means Necessary hosts Eugene Puryear and Sean Blackmon. Ritter's appeal argues that Abu-Jamal had a "biased judiciary" in his previous appeals. Castille played a role in denying his appeals as both district attorney and as a justice of the Pennsylvania Supreme Court. "He directly heard Mumia's appeals and he denied them all," Hanrahan said of Castille. "He also refused to recuse himself… he refused to at every level." The basis for the bias claim reportedly stems from a memorandum written by Castille about the case. On Monday, the Philadelphia judge decided to postpone a ruling on the matter until August 30, as Ritter was unable to locate the document. The judge also ordered a deposition, scheduled for July 9, of the employee who wrote the memo in an effort to determine whether the bias claims hold up. "What they're looking for is direct evidence that Ron Castille, the district attorney, was handling, personally, Mumia's case," Hanrahan said. "Now, he signed every document. He has many opportunities, and certainly we believe he was personally involved in… opposing Mumia's appeals." Hanrahan said that they also believe Castille petitioned the governor for Abu-Jamal's execution. "It turns out that the US Supreme Court admonished him and told him that he had to recuse himself on the cases that he sat on and they've been overturning cases," Hanrahan said. The office of Philadelphia's progressive new district attorney, Larry Krasner, who took over after former Philadelphia DA Seth Williams was sentenced to five years in prison in 2017, said the appeal has no foundation. "From the perspective of the DA Office, there is no violation of due process and we are opposed for motion of relief at this time," said spokesman Ben Waxman. "We have letters. In particular, there's a cover letter from [Castille's] DA's office saying that he's actively monitoring all death penalty cases, in particular those cases that involve a police officer killing," Hanrahan said. Abu-Jamal was sentenced to death the year after his arrest. He was to be executed on the governor's orders in both 1995 and 1999, but both executions were stayed. 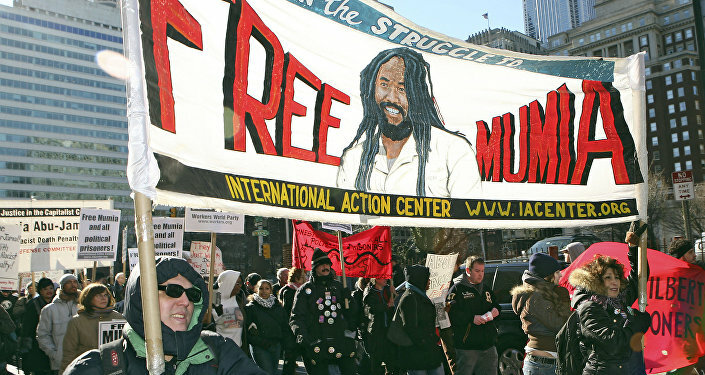 In 2011, Mumia's sentence was changed to life without parole. "When Larry Krasner came into his office in January of this year, don't you know that [the previous] office had scrubbed the file? But there's still traces, there's still remainders, there's still things that can be proven. So they're really searching for the proof that Ron Castille was directly involved in Mumia's case."